With NAMM 2012 in the books, it wraps up another show of creative product designs mixed in with consumer gadgets. NAMM 2010 & 2011 were the marks of a new era with DJ and music production apps hitting the market such as TouchOSC, djay and iMaschine. Last year Numark released a portable controller called the iDJ Live, which is a dedicated controller for the djay app by algoriddim that works on all iOS devices. Now in the DJ world, a product as such would be considered a toy. But realistically I looked at it as a stepping stone for something bigger, even though the iDJ Live is a great addition to an already well made dj app. A portable controller with an iOS device such as an iPhone or an iPad makes for a tempting on the go DJ setup for basic use. And my general thinking was, I would honestly buy it if they made a bigger and more realistic DJ size version with the proper features. 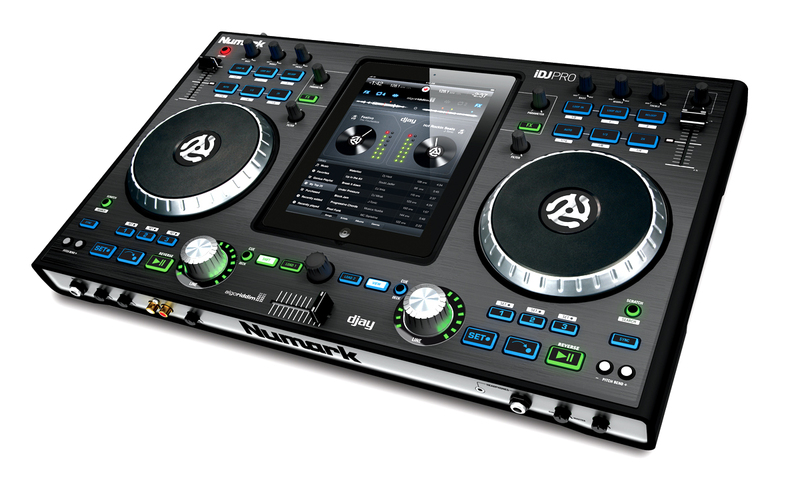 And sure enough, Numark has now revealed the iDJ Pro. It sports the normal features for a controller; capacitive touch platters, pitch control, volume knobs, crossfader, looping and browser controls. As well as a built-in audio interface for headphones and speakers, so no need for a splitter cable. If storage is an issue, you can also access your music collection over the cloud and also use AirPlay to stream the audio wirelessly to AirPlay compatible speakers. The rumored pricing will be about $499. So if you don’t already have an iPad, the costs will add up and be in the range of a regular budget DJ setup. But if money is no object or you already have an iPad, then this as a perfect all in one solution for Bedroom or Mobile DJs looking to simplify the setup without the need of a laptop. No word yet on release date.